Last year we made a trip to Arizona and back. There were times leading up to our departure when I thought we must be crazy for attempting such a huge trip with my physical limitations! But we needed to go, so we planned and prepared, and we made it work. I promised to share a blog post with tips for travelling with a chronic illness, but last summer tired me out, and I never managed to get the post written. This year I am writing a travel tip post before the long days and weeks of summer tire me out. If you have a chronic illness and are planning a trip this summer, I hope that some of these tips will be beneficial for you. 1. Bring all of the necessary medical supplies and assistive devices. How do you make a cross country trip when you meet the medical definition of "homebound"? With LOTS of stuff! We brought along my wheelchair, a travel walker, a stool, ice packs, IV supplies, an IV pole, a Roho cushion, and lots of medications, vitamins, and supplements. My medical condition almost doubled the amount of stuff we had to bring for a 4 week trip! We brought along IV supplies so that I could have an IV every 3 days while we were travelling. Being able to have IVs made sitting up in the car for days of driving much easier than it would have been otherwise. My husband was trained to start IVs several years ago, so doing IVs while travelling is a fairly easy option for us. If you have dysautonomia and need IVs, there may be infusion centers you could go to with a prescription from your doctor so that you can get your needed fluid boost while travelling. You may need different supplies than I did. Bring what is helpful to you and makes your days easier. Be prepared for the extra fatigue that may come along with travelling, and prepare ahead of time for "bad days" while you are travelling. 2. Plan for days of rest. We never drove more than 2 1/2 days in a row. After that we would stop so that I could rest for a day or two before getting on the road again. Riding in a car is exhausting, and the time to rest was crucial. On the days when I stayed in bed to rest, Will and the children would go out exploring local sites. After they came back I got to see pictures and hear all about their adventures! 3. Drive for short periods of time. On the days when we drove, we often didn't drive more than 4 or 5 hours total. This allowed me to get the sleep and rest I needed on most days. 4. Stay in good hotels. Hotels don't have to be fancy and overly expensive, but staying in a hotel that has good beds and thick walls is helpful for getting a good night of sleep. Our favorite places to stay are the Holiday Inn Express and the Staybridge Suites. We know that both of these hotels will have comfortable beds and good breakfast food in the morning. 5. Bring plenty of snacks and water. Be prepared for hunger, thirst, and blood sugar crashes. If there are long stretches of road between restaurants, it is helpful to have food and water on hand. When you have a chronic illness, waiting to find a restaurant can be very hard on your body. The fatigue of chronic illness is difficult enough without adding extra fatigue due to hunger, thirst, or a blood sugar crash. 6. Get as comfortable as possible in the car. I bring pillows and blankets to make the ride more comfortable. I also partially recline my chair so that sitting up doesn't take quite as much energy. Because blood pools in my legs when I am sitting, I have to keep my feet propped up while in our van. I either put them on the dashboard, or I tuck them up on the seat with me. It isn't the safest position to be in, but I physically cannot sit straight up with my feet on the floor for more than about 15 minutes. 7. Enjoy the view from your vehicle. Enjoy the scenery as you drive! If you are too tired, don't step out of the car at scenic viewpoints. Just enjoy the view from your car and save your energy. I sometimes take pictures through the van window instead of getting out of the vehicle for pictures. In fact, I often take them while we are driving! This allows me to enjoy the scenery and taking pictures without adding extra time to our trip. I have discovered that national parks are one of the best places to go on vacation if you have a chronic illness or disability. There are wheelchair accessible trails that allow you to enjoy the outdoors in a way you might not be able to on typical hiking trails. There are also usually scenic drives that allow you to enjoy the beauty of nature without having to get out of your car if you aren't up for that much physical exertion. National parks have air conditioned visitor's centers and small museums that are wheelchair accessible. They are also usually very quiet, which is helpful if you get migraines or sensory overload. 9. Get an Access Pass if you qualify for one. If you are a United States citizen with a significant and permanent disability, you qualify to receive a free Access Pass! This pass will give you entrance to any national park or federal recreation land, and you can also bring up to 3 other adults in for free with you. Children under 16 are always free. You can learn more about the Access Pass here. If you don't qualify for an Access Pass, there may be another type of discounted pass you could use. What are your best travel tips? 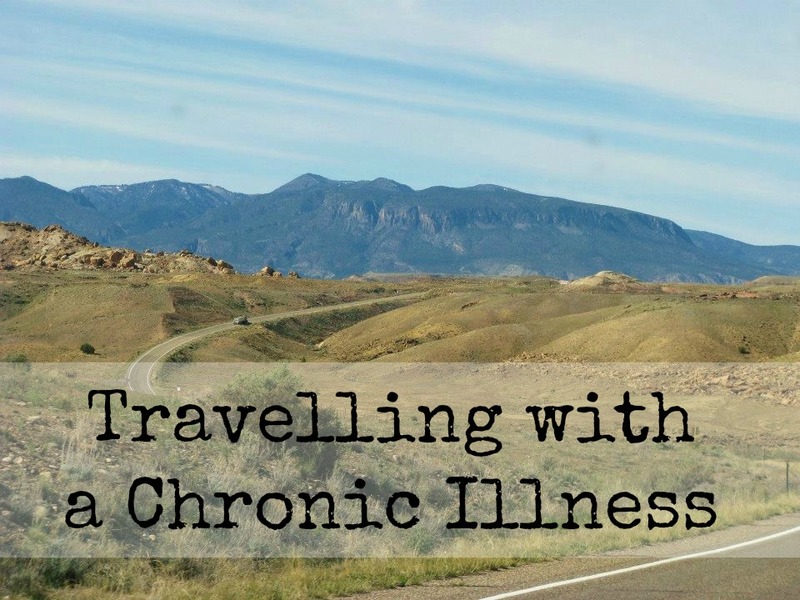 If you have a chronic illness, what makes travel easier for you?